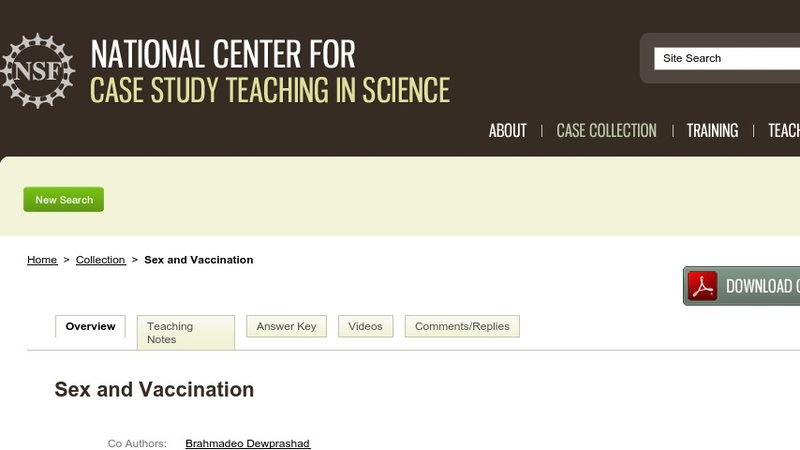 This case study focuses on the controversy surrounding the decision by Texas Governor Rick Perry to mandate the compulsory vaccination of girls in the Texas public school system against the human papillomavirus (HPV) prior to entering the sixth grade. The interrupted case method is particularly appropriate for this subject, with successive sections providing a general overview of the disease, the reasons for and against such a mandatory vaccination program, and a disclosure of what ultimately transpired in Texas. Designed for an ethics or public policy course, the case could easily be adapted to emphasize biological and medical topics.